November 6th, 2017 - What do gamers yearn for? Aside from the 5 gaming aspects (performance, visual, audio, streaming, and controls) that MSI has put so much emphasis on, the real challenge is creating a compact gaming system with zero compromise. And the answer is right here, within the smallest & lightest gaming monster – Vortex G25. Vortex G25 ditches the cylinder shape for something closer to a stylized console at just 2.5L volume and 2.5 KG. Let’s check out the rest of what makes the Vortex G25 stand out in the crowded field for gaming desktops. Vortex G25 adopts the latest Intel 8th Gen Core processor based on the new Z370 platform. The Core i7-8700 processor comes with 6 cores / 12 Thread computing, and a turbo mode overclockable from 3.2 GHz to 4.3 GHz (Multi Core). 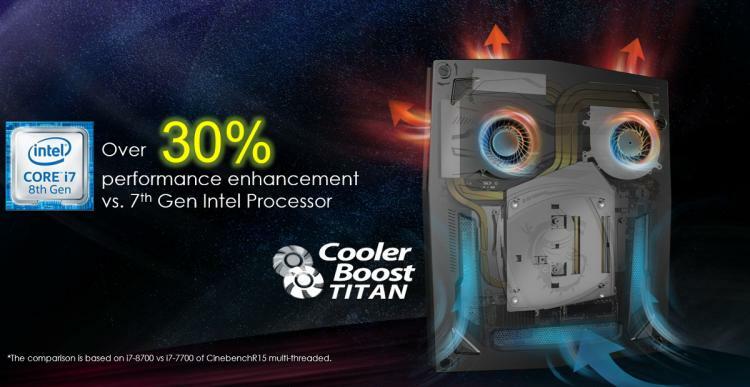 The Cooler Boost Titan, consists of dual Whirlwind Blade fans with 8 heatpipes and well-endowed airflows for both GPU & CPU, is able to enhance over 30% performance over its last generation. Vortex G25 can fully handle this incredible power with excellent Cooler Boost Titan thermal solution providing stability and performance. 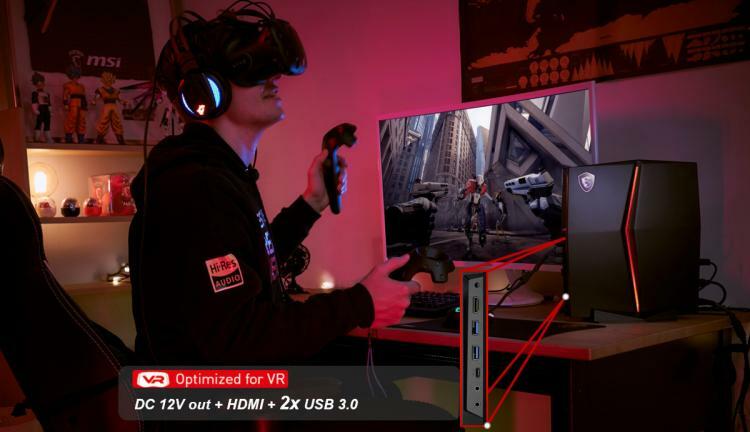 The Vortex G25 was designed for convenient VR application; the front panel has a power jack used to power VR headsets and HDMI, 2 x USB 3.0 ports for ultra-convenience. The MSI VR Ready button & Nahimic VR provide optimized performance and virtual surround sound effects to kick the VR experience up a notch. 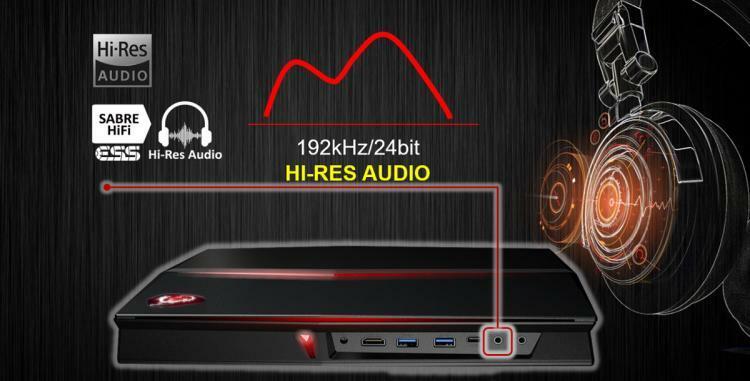 The audio experience has also been improved with the ESS SABRE HiFi audio DAC, making Vortex G25 one of the very few Hi-Res Audio certified gaming system in the market. This grants Vortex G25 with 24bit/192KHz sampling rate, supporting the finest audio quality to any high-end headsets through the SABRE HiFi DAC. In the past, PC gaming systems are usually bulky and lack charisma; but MSI manages to put all extreme gaming specifications into a compact & asthetically appealing 2.5-liter chassis, not to mention its simple upgrade from any users. Power and size are no longer conflicting characteristics as users could place this spaceless system anywhere they desire. MSI once again redefines desktop gaming with this impossibly compact and incredibly powerful brand new product, the MSI Vortex G25. The MSI Vortex G25 is available from Amazon UK, shipping on November 10th.